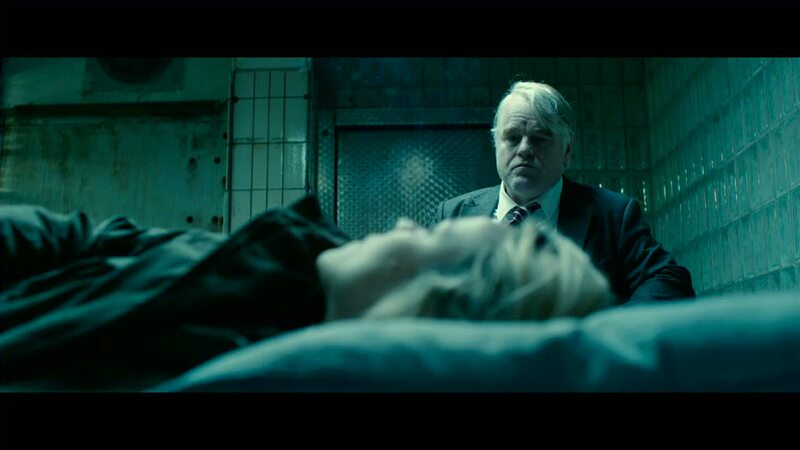 Philip Seymour Hoffman stars in ‘A Most Wanted Man’ as a brilliant but troubled spy. This was Hoffman’s final role before his unexpected death in February. Philip Seymour Hoffman, in his final role, plays Günther Bachmann, a hardened undercover German spy hunting for terrorist threats while attempting to maintain his tight circle of informants. Annabel Richter (Rachel McAdams) joins Hoffman onscreen as a humanitarian lawyer defending Issa Karpov (Grigoriy Dobrygin), a Chechen-Russian fugitive haunted by his past as he enters Hamburg in search of a new future. This is Dobrygin’s English-language debut, and may well prove to be his breakout role. Tommy Brue (Willem Dafoe), a wealthy banker, and Martha Sullivan (Robin Wright), a case officer at the U.S. embassy, are solid supporting characters whose roles become increasingly intertwined with Günther and Issa as the plot thickens. And thicken it does. With no signs of relief, the characters’ paths continually intersect, and no individual’s true intent becomes elucidated until the final scene. Herein lies the message of this film: trust is rare, but the characters have to trust each other in order to achieve their goals. Issa must trust Annabel to help him receive asylum, Annabel must trust Tommy Brue and Günther not to cross Issa, Günther has to trust his inter-department higher-ups and the viewers must trust that this smart yet subtle plot will pay off. The story thrives off its parallels between the past and present, which Günther must traverse when deciding how to continue his investigation under official supervision. Meanwhile, parallels between several characters and their self-serving actions also weigh on each character’s mind as they try to ascertain each other’s true motivations. And the characters turn out to be the most thrilling part of the movie. Hoffman’s performance is impressive and mesmerizing, and his loss is as tragic as Heath Ledger’s death before his defining performance in The Dark Knight. In the wake of Hoffman’s loss, however, we are given an exciting new actor in Dobrygin, who establishes himself as a force to be reckoned with. “A Most Wanted Man” is driven by its complex characters and sophisticated plot. Viewers looking for an action packed flick may not enjoy this movie. But if you are looking for an intelligent, character-driven film that forces you to ask tough questions, this film will prove very rewarding. This entry was posted in Arts, Movies and tagged Most Wanted Man, Movie Review, Phillip Seymour Hoffman, SJP2014 on August 11, 2014 by pusjp.